The Berlin U-Bahn (from "Untergrundbahn", meaning "underground railway") is a rapid transit railway in Berlin, the capital city of Germany, and is a major part of the public transport system of the city. 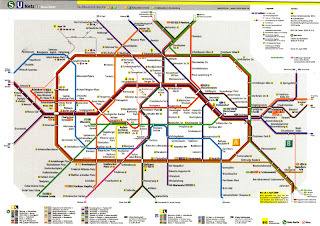 Opened in 1902, the U-Bahn serves 173 stations spread across ten lines, with a total track length of 146.3 kilometres (90.9 mi), about 80% of which is underground. Trains run every two to five minutes during peak hours, every five minutes for the rest of the day and every ten minutes in the evening. They travel 20.9 million km (13 million mi), carrying 496 million passengers, over the year. 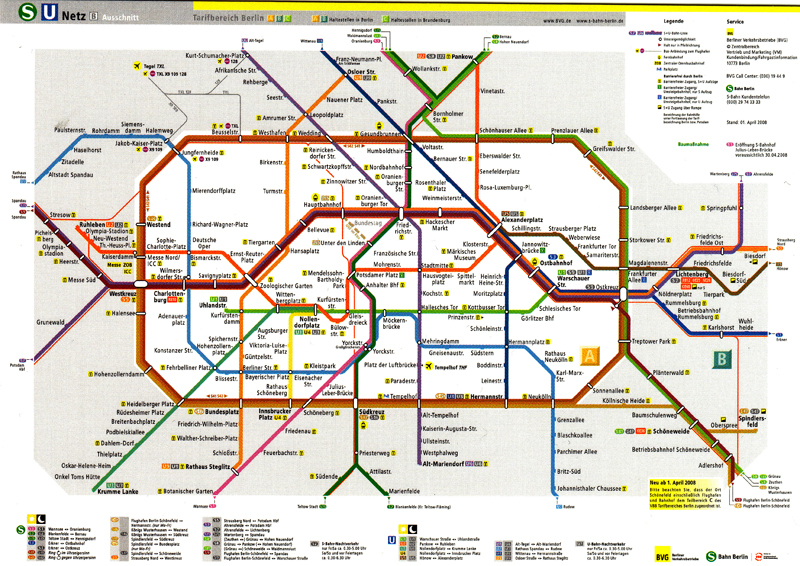 The entire system is maintained and operated by the Berliner Verkehrsbetriebe, commonly known as the BVG.